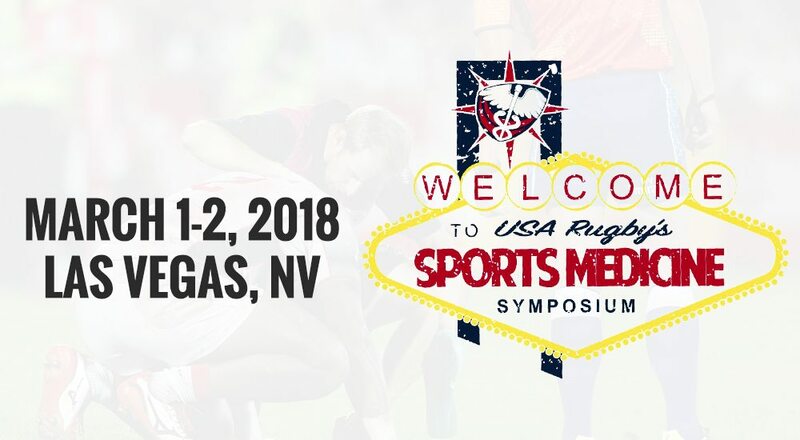 LAS VEGAS, NV - Celebrating its 10th year in 2018, the USA Rugby Sports Medicine Symposium returns to Las Vegas with the most comprehensive course offered in North America. This year's symposium, hosted at the Aria Resort and Casino, will again feature world renowned experts in sports medicine related areas including concussions, orthopedic surgery and research. Registration is now open with early bird discounts available through December 31st. Find more info and register at rugbysportsmedicine.com. "We are very excited to host the 10th annual USA Rugby Sports Medicine Symposium." said USA Rugby Director of Medical Services, Michael Keating, "The opportunity to collaborate with healthcare providers in rugby and share best practices is unmatched in North America." Preceding USA Sevens, the HSBC World Sevens Series stop in the Las Vegas, the 2018 Symposium topics will include concussion in rugby, biologics in sports medicine, World Rugby player welfare updates and a hands-on session for diagnostic ultrasound. With participants visiting from over 14 countries, all physicians, physical therapists, athletic trainers, chiropractors, massage therapists, nurses, EMTs, strength coaches, scientists and even students are encouraged to attend. Prior to the symposium, USA Rugby will again host a separate medical training course, World Rugby Immediate Care in Rugby - Level 2. This unique and specialized course is geared for healthcare practitioners who provide medical coverage at rugby training and matches. The course is the global gold standard with all medical staff for the 2015 RWC and Rio Olympics, required to pass the curriculum. Registration to this course is limited to only 16 attendees, with few spots remaining. For more information visit rugbysportsmedicine.com and register today. Early bird rates continue through December 31st and additional discounts are offered to LVI medical staff and full-time students.